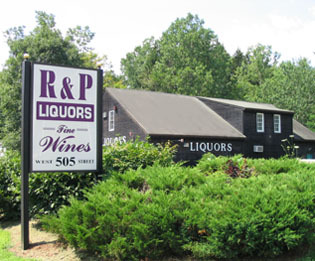 Welcome to R&P Liquors & Fine Wines in South Amherst, MA! Since 1968, we have been providing our customers with outstanding products and outstanding service...all at affordable prices. We hope that this website makes your shopping experience with us easier. Here, you'll find detailed information about all of our products, services, including types of beer, wine and liquor. See our new SPECIALS - for Summer/Fall 2012! If you can't find what you're looking for, just send us an email (info@rpliquors.com) or call 413-253-9742 and we'll take care of you!